When it comes to a scrumptious, full-class breakfast, turnovers are a tasty must. But, football is a different proposition altogether. A dozen turnovers in his team’s last two games afflicted Bartlesville High School head coach John McKee with a major case of grid-digestion. McKee is hoping his Bruins will overcome their butter-finger ways when they take the field this week to play their most important game of the season. 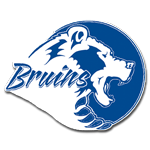 “That’s easy,” McKee said Thursday when asked what his Bruins (1-2) need to do to upset unbeaten Muskogee (3-0). “Not turn the ball over. We need to go play like we’re capable and don’t turn the ball over.” The Bruins and Muskogee Roughers are set to collide at 7 p.m. Friday at Custer Stadium in a District 6A-II-2 opener. The Bruins have had nearly two weeks — since their 27-7 loss to the Class 4A Cascia Hall Commandoes — to recuperate, regroup, renew, retool and rev up for the Roughers. Muskogee averaged 43 points per game — while allowing an average of less than 13 points — during their three non-district tests. Bartlesville is looking to put a disappointing non-district showing — during which opponents outscored the Bruins 110-48 — behind it. The Bruins are perfectly capable of knocking off Muskogee, McKee said. “Nobody is counting on us,” he explained. “We can be the underdog. We’ve been there before. We’ve got to play well. If we play like we’re capable, we’ll be all right.” Whatever the Bruins accomplish might be done with original starting quarterback Garrett Meidl still out — or limited — due to a knee injury suffered earlier this season. “Garrett is still a question mark,” McKee said. “We’ll see how it goes (the rest of the week).” A.J. Archambo — one of the state’s top returning receivers — might be back under center, in place of Meidl, after undergoing a tough baptism two weeks ago against Cascia Hall. “He’s gotten better at quarterback,” McKee said about Archambo. “He’s making better decisions and doing a better job of going through his reads and throwing the football.” If Archambo were to play quarterback, Matt Simpson would see more reps at one of the wideout spots. “He’s a kid that gives us some options,” said McKee. “He can get open and can catch the ball and make a play. That’s what we need right now. Some of our younger guys, (John) Cone, (Taylor) Cobb and Barron (Tanner) have got to start stepping up and quit being newbies and start making plays.” McKee is confident that 10 straight days of practice — due to a bye week last Friday — has made his team more effective. “We’ve had a lot of time to focus on us and to get better at what we do,” he said. “I think we’ve done a great job of doing that. Our offensive line has progress and come a long way.” Runningbacks Joe Lard and DeAndre Young “have gotten a lot better at seeing the holes and understanding the schemes, so they can anticipate where the cuts are going to be,” he added. The Bruins — who McKee admitted frankly “haven’t gotten to where we need to be” — will need to play with heart, determination, desire and at a high level talentwise in order to topple the Roughers, McKee said. “Everything,” he said about what Muskogee is good at. “They’re having a good year. Their kids are playing hard. They’re big and physical up front, they have a talented runningback and a good quarterback who has solid weapons at his disposal. Defensively, it’s going to be a tough challenge to slow them down. They’re on a roll, obviously.” One of the shining jewels of Muskogee’s defense is senior strong safety Kamren Curl (6-2, 180), who McKee referred to as “all world.” “We’re going to have our work cut out for us,” McKee summarized. While he believes his team “is not as good as we can be at the end of the year,” McKee emphasized the importance of this first district game. “Somebody has got to step up and make a play,” he said.